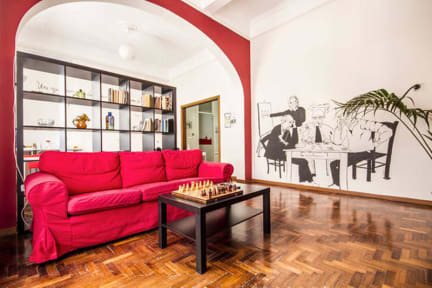 An ideal starting point to discover the old world charm of Palermo, the elegant b&b Liol boasts a most convenient central location which offers ready access to some of the citys most emblematic sites, only a few steps away. In fact, it is located in the very heart of the historic center of Palermo, only a few meters from the main tourist attractions of the city: the theater Massimo (see photos), the theater Politeama, the Cathedral, the Palazzo Reale, the Piazza Pretoria and the markets Capo, Vucciria and Ballar.Very cosy and comfortable rooms will be awaiting your return at the end of a busy day full of discoveries and delights and are sure to satisfy even the most discerning guest. Every room is provided with DTT (digital terrestrial tv) and air-conditioning. Everything about this B&B was great! The owner was so sweet and very attentive/ responsive if we needed anything. I am so happy that my friends and I chose to stay at Liola B&B in Palermo. The trip would not have been as amazing as it was without the help of Guglielmo and Luigi, who were there for us every step of the way. They checked in with us before the flight, were available at any time, greeted us at the door, and gave us awesome recommendations for places that we might not have found otherwise. They really took care of us and made Palermo feel like home, if only for two short days. Grazie mille! Really loved this little place. Luigi was very understanding when we called late letting him know our train was very late. It was no problem, as he had his staff wait for us. When we arrived we received a very warm welcome where we were given a map and told where all the good food was. Our room was very clean and we enjoyed the small balcony we had that we could open up. The showers were one of the best showers we had on our trip with good water pressure, clean showers, and had a hair drier! Great location, in the center of Palermo. Delicious Italian breakfast, big bedroom, lounge, balcony,well equipped kitchen, modern and clean bathroom. Lovely and helpful staff. Definitely would go back. Great value for money.100% recommend! Extremely friendly stuff, great location, clean rooms, everything we needed. Recommend! Liola B&B was excellent; very central location, comfortable and clean with a very friendly and helpful host in Guglielmo. He had many great suggestions for places to eat and drink which was much appreciated! Would definitely recommend to friends as a place to stay in Palermo. It was really clean. The staff was great, they explain us what to do in the city for one day, and recommended us yummy places to eat! The staff was great and had great tips on things to do/eat/see. Really centrally located and good breakfast. The only problem was that the walls are very thin and you could hear everything in the hall as well as outside, even though we were 4 floors up. 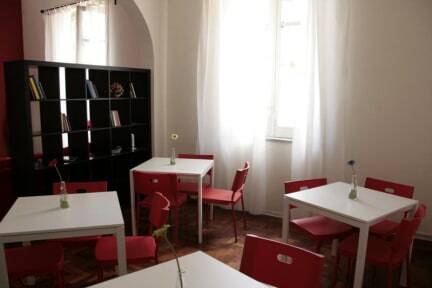 Excellent hostel, clean and centrally located, I recommend it !